David Walters Yachts will represent Italia Yachts throughout North America through its offices based in Fort Lauderdale, Naples, Annapolis, Santa Barbara and Newport, coordinated by the Italia Yachts USA headquarters in Milford. “The agreement with David Walter Yachts confirms the strength of the shipyard’s strategy to expand its presence in the USA, on top of the European, Australian and Hong Kong markets. The partnership with DWY, leader in the US sailboats sector, will enable us to reach our target of visibility in the key US sailing venues. President of David Walters Yachts Josh McLean and his team will showcase the typical quality of our boats and the Made in Italy elegance,” said Daniele De Tullio, Italia Yachts’ Market Manager for America. In addition to the opening of the Milford offices, coordinated by Bill Leonard, to set up the sales and after sales assistance for the whole North America, this partnership will increase the brand’s awareness among American owners. “David Walters Yachts is thrilled to be partnering with Italia Yachts and introducing these impressive sailboats to the US market.” Declared Josh McLean, President of David Walters Yachts. “Italia Yachts blend performance sailing with comfort cruising in a way that has eluded other builders. They are versatile enough to put you at the front of the fleet one week, yet take your family on an offshore cruise the following month. Leading up to this new partnership, we spent many hours inspecting the design and construction, learning the philosophy, and gaining an appreciation of the pride carried by all involved in the production of these remarkable sailboats. David Walters Yachts has always set our standards high for customer service and has earned a reputation for representing high quality boats. As such, our partnership with Italia Yachts is exactly in line with our values and the caliber of yachts we love to sail – and sell. Sailors in the US can look forward to seeing Italia Yachts on the water and on the racecourse. We look forward to introducing our clients to Italia Yachts at the boat shows and at the many events we have planned in the close future.” Concluded McLean. 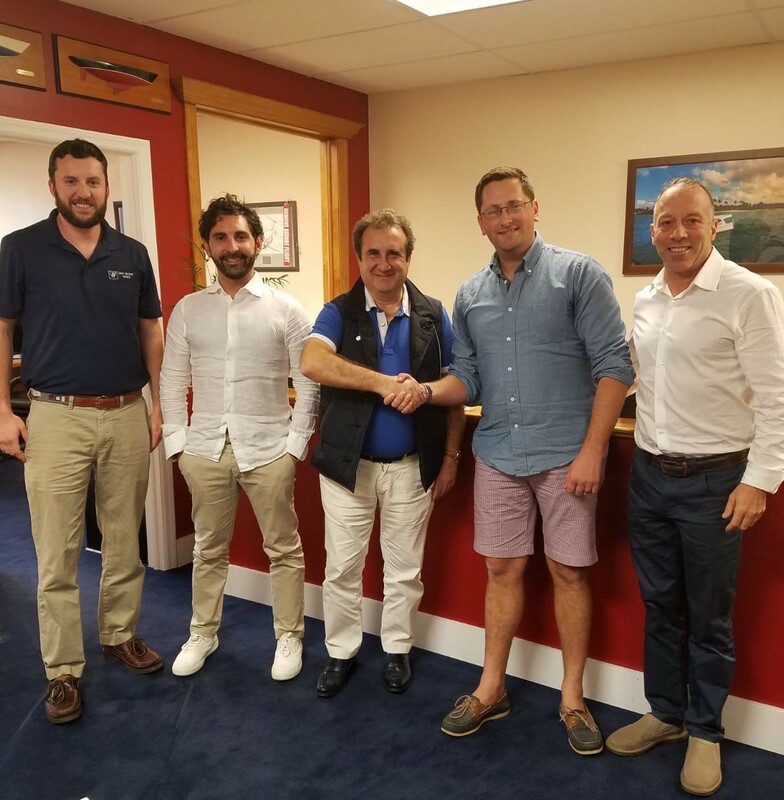 Italia Yachts enthusiastically awaits the 2020 ORC Worlds, organized by the New York Yacht Club in Newport. Before that, the American debut of Italia Yachts’ production will be at the Annapolis Sailboat Boat Show scheduled for October 2019. Italia Yachts: Since 2011 the shipyard has been producing sailing boats where every design project starts with the creation of a perfectly balanced hull and sail plan; sailing on an Italia Yacht everyone feels secure and protected in all weather conditions. This design concept has made the shipyard a benchmark in the sailing world: in an Italia yacht you will rediscover the true pleasure of sailing. Our mission: to build fast, elegant and safe boats with timeless design. Sea as a lifestyle: the experience of a team of passionate sailors at your service.